A capture card is a handy tool that offers a lot of opportunities, such as creating tutorials or recording TV shows or your gaming adventures that you can later edit and share on your YouTube channel, Twitch or a similar platform. On the other hand, finding the best capture card isn’t such an easy task. Prices may vary, just like the performance. Therefore, you must choose wisely and think through what you need the card for in the first place, and find the perfect fit according to that. Just like with other types of hardware, choosing the proper device for your needs is not an easy task, especially if you are not that familiar with the subject. Because of that, here is a list of things which you should pay your close attention to, in order to make the best possible choice of a capture card. When talking about internal and external, capture cards things are simple. If you want a practical device that you may use on different hardware, or are into console gaming, if you have no additional PC and are not ready to purchase one, your only option is an external (portable) capture card. On the other hand, if you are into PC gaming or have a PC alongside your console, you can choose whatever option suits you best. One of the most important characteristics of any capture card is surely image quality. That doesn’t just include the resolution, frame rate and bitrate of the video, but also the sharpness and clearness of the image. The captured material will in most cases be used for YouTube channels, tutorials, etc. In other words, it will present you and your work. Therefore, choose the best possible product in this department. More compatibility means that more different devices can be connected and their video material captured. Some cards may be compatible only with PCs, others with a whole bunch of devices that include PC, Xbox, PS4, etc. Because of that, be careful about what you are purchasing. First of all, make sure that the capture card is compatible with the hardware that you have, and secondly, if you can get more compatibility for the same or similar price, take it. As in the case of compatibility, the more connectivity options you have, the better. It is ok if the device has only the one input and output connector that you need, especially if it is affordable, but that is kinda limiting. You never know what may happen and when the hardware you have may fail, and you may have to replace it with something different that maybe doesn’t have the same connectors. Therefore, choose the card with as much input and output connectors as you can, and make sure that these connectors are among the mainstream ones (HDMI for example). Although it is not a decisive aspect, having high-quality, intuitive software alongside your card can make your life much easier. Additional software costs money and complicates the things a bit. Therefore, look at what types of solutions are included in the packages and choose wisely in order to save yourself from additional costs. If you are into the top of the line products that offer premium quality and performance, Elgato Game Capture 4K60 Pro is the right thing for you. With sleek, modern looks and its own heatsink, this card will perfectly fit in any open or transparent case. Although simple in terms of connectivity (it has only one HDMI out and one HDMI in), this hardware offers everything that you may need. Capable of recording in 4k (2160p) resolution under 60 fps, with a bitrate of up to 140Mbps, equipped with an easy-to-use software and fully compatible with PC, PlayStation 4 Pro and Xbox One X, Elgato Game Capture 4K60 Pro is the best capture card your money can buy. Of course, there are also some downsides, such as its hefty price tag and extremely high system requirements (6th generation Intel i7 or an AMD Ryzen 7 processor and AMD RX Vega-series or Nvidia GeForce 10-series graphics card), but other than that, there is nothing bad you can say about it. It is simple: if you want the best capture card for PS4 or PC, this is the thing to go for. AVerMedia GC573 is the second ever capture card (first is Elgato Game Capture 4K60 Pro) that offers 4k capturing, but the first one that offers both 4k and HDR capture in one device. When talking sheer numbers, GC573 allows for capturing of 4k videos at 60 fps, 1440p videos at 144 fps, and 1080p ones at the staggering 240 frames per second. The last numbers are especially helpful considering how much gaming monitors have improved in recent time and increased their frame rates. GC573 also offers ultra-low latency and capability to broadcast and capture content with modern solutions such as OBS Studio and XSplit. Unfortunately, for the full exploit of the card, you are forced to use its own RECentral software that has a lot of glitches and problems, but will hopefully improve with time. On the other hand, Cyber Link PowerDirector 15 is included in the package, allowing for easy editing of 4k videos. All in all, if you want a 4k capable device that will deliver excellent performance and lower price than the “almighty” Elgato Game Capture 4K60 Pro, GC573 should be your buy. Elgato Game Capture HD60 Pro is exactly what its name tells you, the best game capture card you can get for your money. If you already have a quality gaming PC and a good streaming webcam, this is the only device that may be missing to complete your streaming circle in order to produce the high-quality content that is expected from any respectable streamer. HD60 Pro is capable of simultaneously recording and streaming in 1080p resolution at 60 fps and a bitrate of 60 Mbps. It is also equipped with a lag-free HDMI output, H.264 encoding that is responsible for the production of smaller size files without any visible loss of picture quality, and the handy Stream command that allows users to add overlays, commentary and webcam feed to their streamed material. All the things that any streamer ever dreamed about are there. Plus there is also a Flashback Recording that allows you to go back in time on your PC and record moments that have just passed, as well as Elgato’s low latency technology that offers improved streaming experience. The only problem with this piece of hardware is that it needs a PC to run. Yes, you can connect it to PS4, Xbox One/360, or Wii U, but you still need a computer to make your capturing possible. If you are looking for an easy plug and play solution for your video capturing or streaming, MiraBox USB 3.0 comes as an excellent choice. It is compatible with PS4, Xbox One, Xbox 360, Wii U, Nintendo Switch, even DSLR and set-top boxes. It offers USB3.0 interface that allows for easy and smooth recording and streaming and lag-free HDMI output that allows you to stream without any delay. MiraBox offers recording/streaming in 1080p at 60 fps and works on Windows, Linux and Mac OS. It also supports mainstream streaming services and platforms such as Twitch, YouTube Live, Facebook Live, etc. 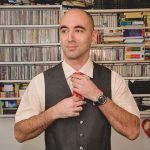 Practically all that you may need for streaming and recording is there. MiraBox USB 3.0 is simply the best external capture card that won’t take too much money out of your pocket. AVerMedia Live Gamer Ultra (GC553) is sort of AVerMedia GC573’s younger brother. It offers an HDR 4k resolution for both streaming and recording (as GC573), but supports only 30 fps 4k recording, while it allows for 60 fps streaming of 4k content (GC573 allows 60 fps 4k for both streaming and recording). It is the same under lower resolutions, where GC553 allows for 1080p recording at 120 fps and streaming at 240 fps, while GC573 delivers both capturing and streaming at 240 fps. The reason for that probably lies in the fact that this is a portable USB3.0 capture card, while the GC573 is a PCIe one. When talking about other positive aspects of this card, it needs to be mentioned that it offers ultra-low latency, a plug and play function, and that it comes with PowerDirector 15 editing software. When talking about bad sides, they include its limitation to only Windows OS, high hardware demands, but also not that great RECentral software that offers plenty of features, but lacks a final touch. This is definitely among the best external capture card options out there. With AVerMedia Live Gamer Ultra (GC553) you can hardly go wrong. Magewell USB 3.0 is an easy to use, portable capture card that delivers a decent performance at a reasonable price. This brand maybe isn’t as famous as Elgato or AVerMedia, but that doesn’t change the fact that it produces good quality products. When talking about the specs and features, this device can stream or record in 1920x1200p resolution at 60 fps, has a USB3.0 interface for faster performance and can, if needed, up or down-convert the input signal to the needed resolution, make frame rate conversion and de-interlace in real-time without the help of any other hardware. More importantly, this device doesn’t need any additional drivers, it offers a plug and plays function and it is easy to pair with OBS software. It has everything that you could expect from the best HDMI capture card. That, on the other hand, doesn’t mean that there are no downsides, because there are, but they are presented only through a slightly lower audio quality and the fact that it extensively heats up when under constant use. Other than that, this is one hell of a deal. Hauppauge – HD PVR 2 is a nice portable capture card that offers plenty of features that do a fine job of compensating for its non-premium image quality. Don’t get us wrong, this device has a pretty good image, but not the top of class one. It allows for 1080i and 1080p recording, at 30 fps, but with a maximum bitrate of only 14MBps. When talking about the sound, Hauppauge – HD PVR 2 has a built-in audio mixer and can record a crystal clear 5.1 channel audio. Other than that, there is also a recording button on the device itself, for easy recording, built-in H.264 AVCHD video encoder, the Facecam feature that allows you to add webcam footage to the video you are recording and the StreamEez application that lets you share your live streams on YouTube and Twitch. These features altogether make this device one of the best capture card options out there. When talking about the downsides, this device’s major weaknesses are its large files produced during capture (15 minutes of 1080p video takes around 1.25GB of space) and the need for its own USB-compatible storage, but other than that, this is a pretty decent product that is compatible with Windows, Xbox 360, Xbox One, PS4 and Wii U. All in all, if you already have a good webcam for streaming and need a proper capture card to pair it with, Hauppauge – HD PVR 2 is more than a good option that surely won’t disappoint you. StarTech USB3HDCAP is an affordable and multipurpose device that allows for recording through HDMI, DVI, VGA or Component video. Thanks to its USB3.0 interface, it offers fast performance, while its recording capabilities are limited to the modest 1080p resolution at 60 fps, which, on the other hand, is enough for the majority of the users. This device comes in a package with the Stream Catcher software that allows for both recording and streaming of the video material. Stream Catcher also encodes the video with x264-encoder that lets you use such captured content on Windows, Mac, iOS and Android devices. Unfortunately, this software isn’t that intuitive or user-friendly, but more importantly, it does the job. StarTech USB3HDCAP supports 2-channel stereo audio and comes with a decent 2-year warranty. When talking about its downsides, they are mostly connected to its USB3.0 interface that isn’t backwards compatible and doesn’t work with ASmedia and Etron controllers. 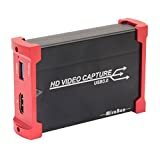 Other than that, this is a very handy device that offers good value for the money and is surely among the best video capture cards you can find. AGPTEK MYPIN is a capture card pretty similar to the MiraBox USB 3.0. It also offers full HD recording and streaming at 60 fps, it works with Windows, Linux, Mac OS, has a USB3.0 interface, plug and play function, it is compatible with all the major streaming services and software, compatible with all the major consoles. Even the colors (red/black) of the devices are the same. They are basically the same device in a slightly different package and are offered under marginally different price. 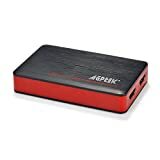 In other words, if you need a quality solution for game streaming, multimedia teaching, or just want to have a decent multipurpose capturing/streaming device, AGPTEK MYPIN, or MiraBox USB 3.0, is the device you should look for. These two are undeniably the best cheap capture cards you can get for your gaming adventures. If you want a reliable, affordable, and at the same time highly compatible capture device (supports Mac, PC, old and new consoles such as PS4 and Xbox One, etc. 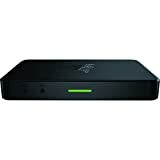 ), Razer Ripsaw is the best possible choice. Razer is famous for releasing well-tested products that have already been freed from starting problems such as random reboots, issues with audio, software incompatibilities, etc. For that reason, it is a much safer option to buy than the majority of other brands. 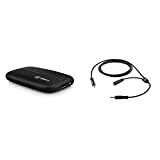 Ripsaw uses a USB3.0 interface, has a second audio in a connector with exceptional sound quality, gives you an opportunity to add a dedicated mic for streaming for additional comments to your content, and has a respectable recording resolution of 1080p under 60 fps. Even better, this device is compatible with the majority of video capture dedicated software. Therefore, you can be sure you will have no problems with editing. 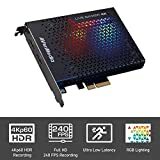 Ripsaw’s performance can be compared with the AVerMedia LGX and Elgato HD60s capture cards and it is surely among the best capture card for streaming options you can find. Its rare drawback is that its retro port requires an AV to HDMI converter to use it for NES and SNES games; other than that this is almost a perfect device. Today, we have presented you the best capture cards on today’s market, and we are sure that there is something for everyone on this list. Read through the advice and the options carefully, pick your perfect companion, and you’re ready to rock!